Valor First Responder Seating stands behind firefighters with our seating products, designed and engineered to support the critical demands of First Responders. As a leader in the industry, we continue to develop the most durable and ergonomically designed seats that provide our local heroes the safety, comfort and rapid access they require to perform their jobs at the highest level. Our first responder seating allows for safe transport of our fire fighters to where they are needed most. Valor seating solutions allow for the quickest possible ingress and egress from the vehicle. Valor seats use SCBA support straps that allow for quick strap in, as well as easy access to seat belts and buckles. These innovations allow firefighters to be safely secured in the seat in record time. 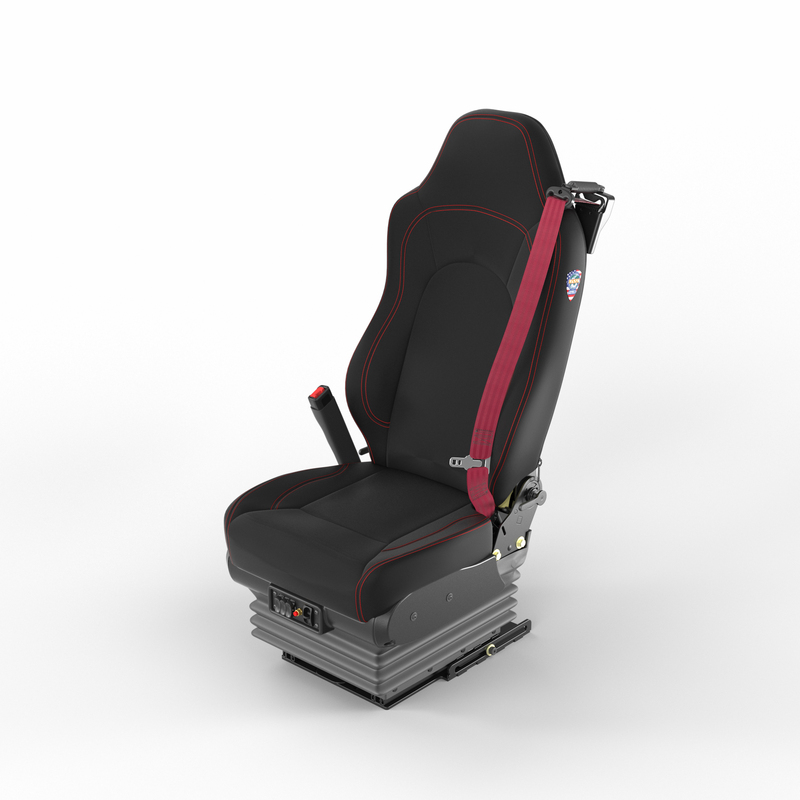 Our dynamically adjustable back will allow the firefighter to be properly and safely seated against the bolsters and headrest areas without the pack uncomfortably pushing on the lower back area. Valor seats are available in multiple applications with IMMI Roll-Tek airbag and rollover technology. Our military grade construction allows for some of the most durable seats available. To put it simply, our seats are built to last.